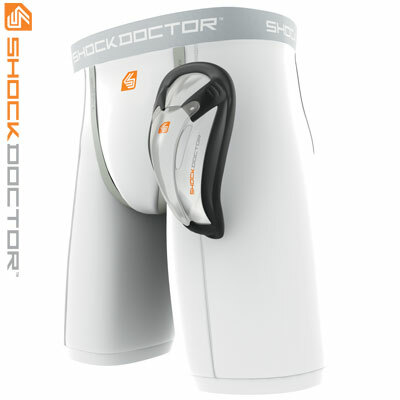 Extra supportive compression panels, double layer side panels. Four-way stretch, moisture-wicking, antibacterial materal. Wraparound X-Fit™ cup retention system. Padded area around base of cup increases comfort, reduces chaffing. Fully vented front cup panel. Extra wide comfort band. Flatlock seams. White. Sizes L-2X.